CoolSculpting is an effective fat reduction procedure that can be performed with no incisions and downtown. This non-surgical treatment employs the use of FDA-approved cryolipolysis, or controlled cooling, technology, which causes fat cells to die. At Crawford Plastic Surgery, Dr. Marcus Crawford and Dr. Steven Bailey can perform the CoolSculpting treatment on our Atlanta-area patients. Read on to find out if you are a good candidate for this procedure, how the procedure works, and the potential results that can be achieved with CoolSculpting. The CoolSculpting procedure generally takes about one hour to perform. However, treatment time may vary depending on the size of the area being treated. To begin treatment, the Coolsculpting applicator arms pinch the skin and fat being targeted for fat removal. The device then cools the underlying fat cells to a temperature that causes them to crystallize and die - all without damaging the surrounding tissue and skin. This process is repeated until the fatty tissue in the problem area has been treated. During the CoolSculpting procedure, most patients do not experience pain. Rather, they may feel a light suction sensation or pressure as the applicator gently grips the fat, and then a cold sensation as the device releases the precise cooling technology. In the weeks following Coolsculpting treatment, the body naturally eliminates the dead fat cells from the body. In general, patients can expect to notice some results about three weeks after treatment. However, the best results are typically seen at two months, and the body continues to eliminate fat for four to six months after treatment. After CoolSculpting treatment, patients can return to their normal routine. This is a great advantage over surgical procedures such as liposuction, which require some downtime and limits on exercise. With CoolSculpting, patients can continue to maintain a healthy diet and exercise program after treatment, helping them achieve the best possible results. In some cases, patients may require more than one CoolSculpting treatment to achieve their desired results. Other patients may wish to undergo maintenance CoolSculpting treatments every year or so to keep their slimmed down appearance. However, these side effects are temporary and will resolve completely, usually within a few days to a couple of months after treatment. If you have bulges of fat in a specific area of your body, you may be a good candidate for CoolSculpting treatment. 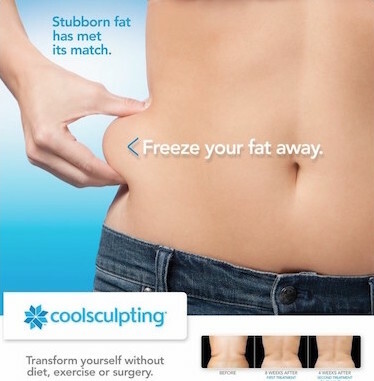 Contact Crawford Plastic Surgery today at (678) 800-688 to schedule a consultation for CoolSculpting at our practice.